Plan ahead for the future with a policy that offers the comprehensive coverage you need. At Brown Insurance, we have the experience to analyze and recommend the correct personal insurance coverage for you or your family. Serving individuals and businesses in the Maryland, Northern Virginia, and Washington DC areas, we offer homeowners and auto insurance, as well as motorcycle, boat, life, renters, long-term care, disability, flood, and health insurance policies from leading companies. Click on a policy link below to learn more about a personal insurance service we offer. This type of insurance is designed to provide economic assistance to the survivor of an insured who has died prematurely. The Health Maintenance Organization also known as HMOs are organizations of medical providers, administering health care to its members through preventive medicine. This coverage will also pay for illness as do a regular health plan. In most cases there IS a facility that provides primary care. Or a provider directory may also be another source. Preferred Provider Organization or PPOs are organizations of both primary and secondary care physicians that deliver discount services to its members. In this setting a wide selection of physicians is found. A directory of providers of service is made available. An insured may select any member or organization for service. Traditional or Indemnity Plan is an open field in which an insured may choose to go to any provider of care he chooses. Price for each of three plans varies. Some have higher deductibles anD co-pay than others. Property insurance includes many types of insurance designed to handle property risks. It guards against possible financial loss resulting from the damage or destruction of personal property. Casualty insurance is difficult to define because it includes a wide variety of basically unrelated insurance products. It includes the following: Liability, Aviation, Auto, Boiler and Machinery, Crime, Workers Compensation, and Surety Bonds. Using the strength and experience of our life insurance markets, we offer affordable term life, whole life, and universal life insurance policies. If the insured survives the time period, the policy expires. There is no cash value at the expiration of a term life insurance policy. Some policies have a convertible feature permitting a policy owner to exchange a term policy for a cash value policy without evidence of insurability. The most popular choice for those seeking to cover permanent needs, such as contributing to a survivor's nest egg, paying off final expenses, etc. Whole life insurance provides permanent, lifelong insurance coverage. The benefit amount remains the same and is payable to the beneficiary(s) at the time of the insured's (your) death. It also offers an opportunity to build cash value, so you can take a loan on your policy to fund major purchases or to provide for unexpected costs. Modified Premium - lower fixed premium for the first 3 or 5 years, and then premiums increase. These policies work well for individuals that expect to improve their financial condition in the near future. Graded Premium - premium increases each year for the first 5 years, and then is fixed. A flexible premium policy that combines protection against premature death with a savings account that typically earns a money market rate of interest. A universal life insurance policy is a combination of term life insurance protection with the cash savings value of whole life insurance. Interest rates paid on the cash value are typically higher than with whole life insurance because they tend to follow the markets. Premiums for universal life insurance policies can be paid in a lump sum, annually, or anywhere in between. Interest on the cash value is usually guaranteed, but will vary according to the investment performance. Each month deductions are made from the cash value fund to support the costs of the insurance protection. As long as the cash value is substantial enough to maintain the monthly costs, the policy will remain in force. Typically the death benefit reduces in proportion to the increase in cash value, thus causing a level death benefit. Combines the growth potential of stocks with a guaranteed death benefit. It allows premiums to be paid, reduced, or even skipped at any time, and the contract will not lapse as long as sufficient cash value is available. The cash value fund can be split between different investment mediums, such as bond funds, stocks, and money markets. It's interest-sensitive and allows for an adjustable death benefit. We offer affordable renters insurance policies that have flexibility to meet your individual needs and above all, provide you with the security that comes only from the knowledge that your home is safe. If you live in an apartment or a rented house, a Maryland renters insurance policy covers you and your possessions. A standard renters insurance policy protects your personal property in many cases of theft or damage, and may pay for temporary living expenses if your rental is damaged so seriously you can't live in it. It can also protect you from personal liability. The standard renters insurance policy covers the actual cash value of personal property. Payments are based on the replacement cost of the property minus a deduction for physical depreciation and obsolescence. If you add replacement cost coverage (for an additional premium), the insurance company will pay one of the two amounts below, whichever is lower? The cost to replace the property with a similar type and quality of property without a deduction for depreciation. Coverage C - protects your personal property, (e.g. furniture, CDs, stereo and clothes). You choose a dollar amount limit (what you think your possessions are worth) when you purchase a Maryland renters insurance policy. Coverage D - covers loss of use - the expenses you face when your apartment can't be used due to an insured loss. This is usually 20% of your personal property limit. Coverage E - covers your personal liability claims and suits for bodily injury or property damage. You choose this limit when you buy the Maryland renters insurance policy. Coverage F - pays for medical expenses for minor injuries to others even if you were not at fault. The policy normally includes limits of $1,000 per person. Theft, fire or lightning, windstorm or hail, explosions, riots, aircraft, vehicles, smoke, vandalism, falling objects, weight of ice, snow, or sleet, accidental discharge or overflow of water or steam, sudden and accidental tearing apart, cracking, burning, or bulging, freezing, sudden and accidental damage from artificially generated electrical current, volcanic eruptions (doesn't include earthquake or tremors). Although people are generally living longer, many are requiring assistance in their later years. 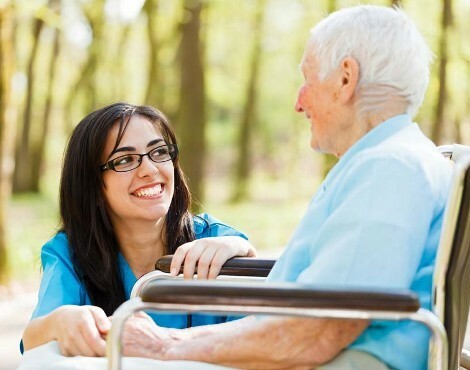 Long term care services can be provided in your home, in an assisted living facility or in a nursing home. In many cases the family is no longer able to provide such care around the clock. Family members may not live nearby, they may have other pressing family commitments, or simply can't get the time off from work or away from the home. According to recent data, 48.6% of people age 65 and older may spend some time in a nursing home and 71.8% of people age 65 and older may use some form of home health care. Some people can pay the bill out of pocket, others will qualify for Medicaid (welfare), but most of us will fall somewhere in the middle. A Maryland Long Term Care insurance policy can help protect your assets from the rising cost of care. Long Term Care insurance is often referred to as "asset protection." Individuals need to have assets worth protecting in order to justify the purchase of a policy. If you are able to pay Long Term Care insurance premiums without having to change your lifestyle - you should transfer that risk to the insurance company. Facility Only: Will pay benefits for care in a nursing home, assisted living facility or board and care facility. Its the most basic policy but often the most needed type. Home Health Care: Will pay benefits for care in your home, but not in a facility. The preferred policy when a home health care situation is possible. Comprehensive: Will pay benefits for care in your home or in a facility. This is the preferred type of plan (policy) because of it's flexibility, but is also the most expensive. A long term care insurance specialist with Brown Insurance Group will assist you in deciding which type of policy will work best for your needs.